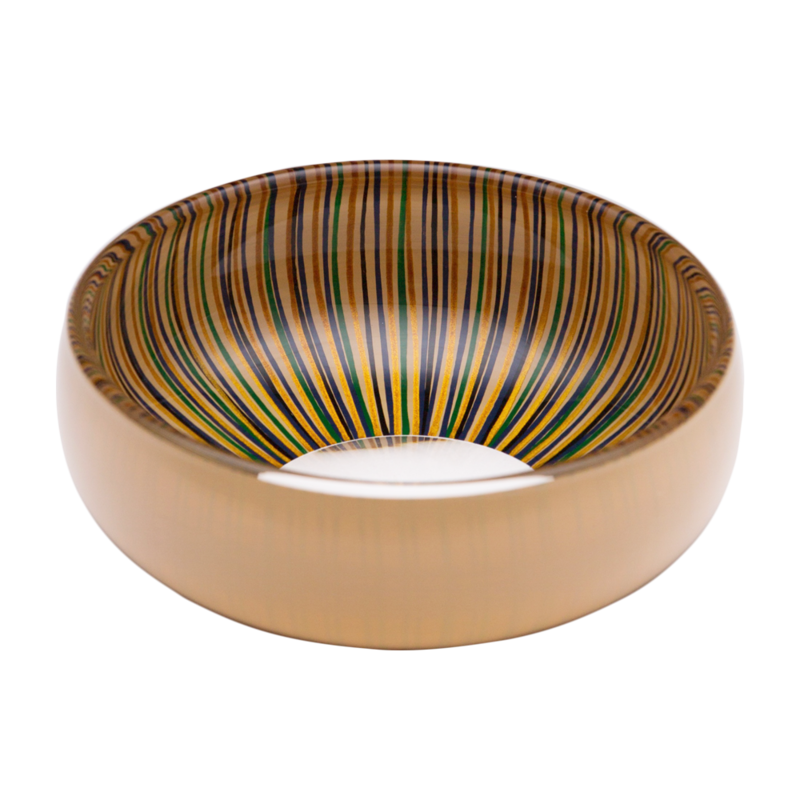 The countless, hand-painted lines of urushi lacquer visible only from the inside of the tsubomi collection offer a bright contrast to the simple outer color. The design was inspired by the image of the bud of a flower. Please heed the care instructions as detailed below. ・ Please use this piece for its intended purpose. chip or crack in the glass. the piece away from exposure to direct sunlight. ・ Do not use abrasive scrubbing pads or brushes. ・ Do not shake or subject the piece to any strong impact. ・ Do not stack Hyakushiki pieces. ・ Avoid exposure to boiling liquids, direct fire, etc. Copyright © Maruyoshi Kosaka. All rights reserved.